Find phlebotomy training classes in Louisiana below! Condensed into a convenient, comprehensive 12-week course, the RRMC Phlebotomy Program uses a focus on clinical and didactic experiences to teach phlebotomists-to-be. Prospective students are expected to grasp the concepts of basic phlebotomy, anatomy and physiology, medical terminology, medical equipment, and four unique methods of blood and specimen draw. Completion of the aforementioned coursework is a must-have before students can progress toward graduation. Students must complete 250 successful (unassisted but guided) venipunctures before being deemed eligible for taking the national phlebotomy certification exam. Graduates who demonstrate a working knowledge of basic phlebotomy by passing this exam are capable of pursuing a career in a plethora of medical facilities. Designed to provide phlebotomists-to-be with the knowledge required to become certified in the medical profession – the OLOL College Phlebotomy Program is a comprehensive course, spanning 13 weeks and totaling 80 classroom hours, as well as 120 hours of hands-on clinical practice. To accommodate busier students, classes take place in January, May, and August, with clinical practice on a rotational basis at approved medical facilities. This phlebotomy training program includes teachings on basic phlebotomy, such as anatomy and physiology, specimen collection methods, and medical terminology. Students will also hone their interpersonal communication skills, instilling in themselves a confidence to handle patients who are nervous, scared, anxious, or uncooperative. The BPCC Phlebotomy Program is a unique course, designed to prepare phlebotomy hopefuls for upcoming national phlebotomy certification exams. Passing these exams will allow new phlebotomists to delve into the medical field, working in a plethora of reputable care centers and medical facilities. To enroll in this course, prospective students must fill out an application, submit proof of a high school diploma or GED equivalent, and shell out tuition before the class begins. A single semester of this phlebotomy training program consists of four months, and there are two semesters in this course. The first four months are spent in classroom lectures, take-home assignments, and lab studies. Whereas, the second four months represent the clinical component, where students complete clinical practice sessions to better their hands-on knowledge of what a phlebotomist does. Graduation from the BPCC Phlebotomy Program consists of a traditional cap and gown ceremony, where graduates will receive a certificate of completion. Afterwards, graduates are welcome to participate in the national phlebotomy certification exam, granting them working access to medical facilities across America. Trained to draw blood, process bloodwork, and keep organized records of patient health histories, phlebotomists have become some of the most important components in the medical profession. New phlebotomists will work under the guidance of professional, well-versed nurses, phlebotomy technicians, medical technologists, or lab scientists, until their skills are deemed well-honed. After a phlebotomist has achieved a good reputation in the medical center of their choice, individuals can use phlebotomy as a solid base to their medical career. They can then pursue higher medical positions through continuing education classes while working as a full-time phlebotomist. In addition to teaching students how to become good, reputable phlebotomists, the DCC Phlebotomy Technician Program consists of two parts – a first half of lecture courses and clinical studies, and a second half of a three-week hands-on practicum. Except for weekends and holidays, students participating in the three-week practicum are expected to work up to 8 hours per day on their externships. Described as the drawing and collecting of important blood samples from patients of varying ages, phlebotomy is a commonly understated, yet highly demanded, position in the medical field. Phlebotomists use their keen interpersonal communication skills to soothe patients, while utilizing the basics of anatomy and physiology, bloodwork processing, and specimen collection to gather the samples required – per doctor’s orders. After classroom lectures that teach the aforementioned required skills, students of the Fletcher Phlebotomy Program will participate in hands-on clinical practices on fellow students and volunteers. These phlebotomists-to-be are under direct supervision and guidance of professional medical instructors. This course is handcrafted to prepare students for the national phlebotomy certification exam. The transition from prospective medical student to full-fledged phlebotomist takes time, effort, and a phlebotomy training program from SUSLA College. Students are trained to understand phlebotomy from a basic level, leading into more advanced phases of medical terminology, the vascular system, venipuncture, capillary draws, and heel pricks. 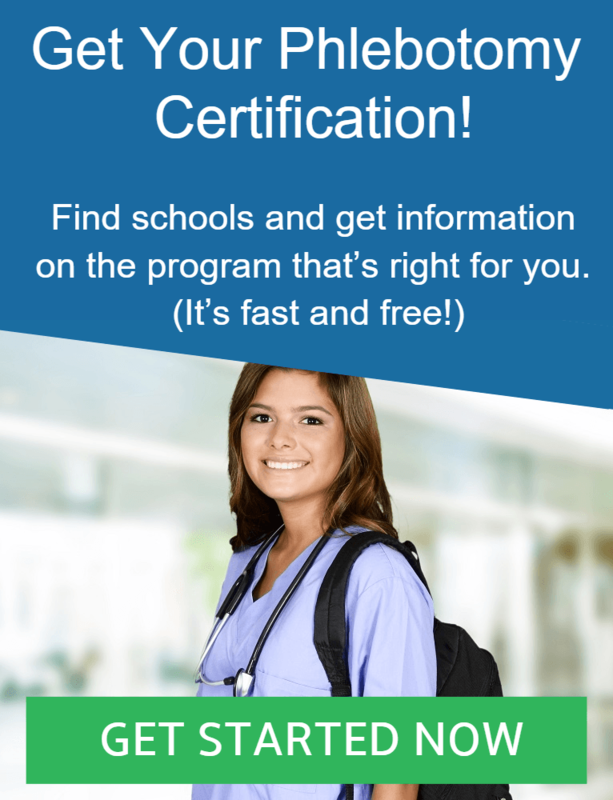 This program is designed to help students pass the national phlebotomy certification exam and earn the title of official, professional phlebotomist. For enrollment into this phlebotomy training course, prospective students must meet the academic requirements of SUSLA – including, but not limited to, a high school diploma or GED equivalent, program application, three letters of reference, proof of a high school GPA of 2.0 or higher, and proof of good mental and physical standing. Prospective students must also provide a brief narrative of intent, as well as participate in an interview with the Phlebotomy Interview Committee. This program is a 4 month long program that is offered in the Fall and Spring semesters.